If I've said it once, I've probably said it one-hundred times, I'm a sucker for random tables. 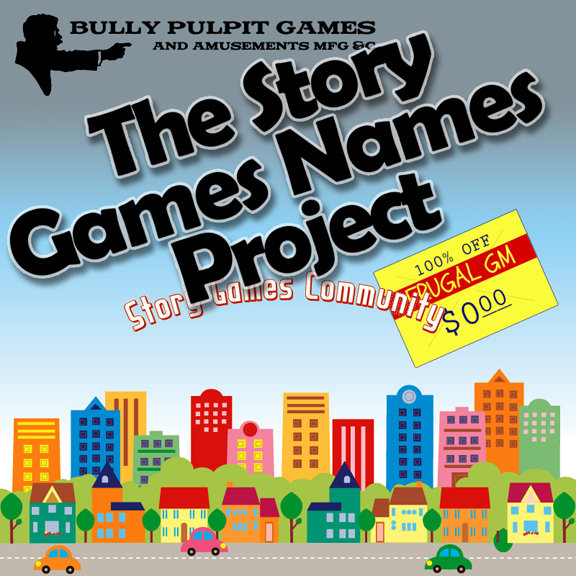 While technically not a collection of random tables, The Story Games Names Project is a huge collection of lists, lists of names to be precise, all numbered 1-20. There are a little over 100 categories of names, most of which have multiple lists per category. 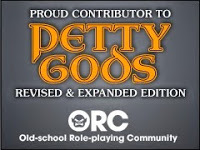 The PDF, hosted by the folks over at Bully Pulpit Games, is a good 280 pages long. In case you wanted to pull out the text for insertion into your random table generator of choice, the folks over at www.random-generator.com have already done a lot of the heavy lifting.